Prochnyanthes is a monotypic genus in the Agavoideae subfamily of Asparagaceae from high mountains of Mexico. 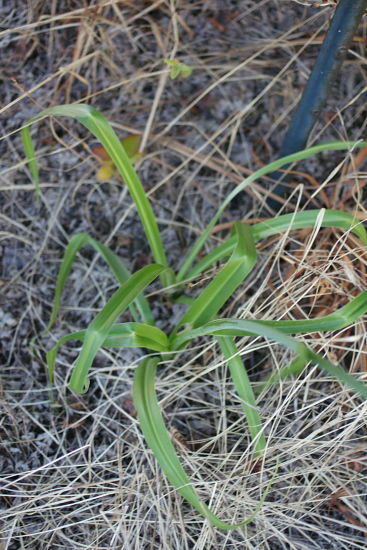 The base of the plant is a bulbous rhizome. Prochnyanthes mexicana syn. Agave bulliana (also Bravoa bulliana, Prochnyanthes bulliana, Polianthes mexicana, and Prochnyanthes viridescens), is the only species and is found on dry rocky slopes in pine-oak grassland or in shaded moist ravines at 1150 to 3100 m. altitude in the states of Durango, Aguascalientes, Jalisco, Nayarit, Michoacán, and Zacatecas of Mexico. 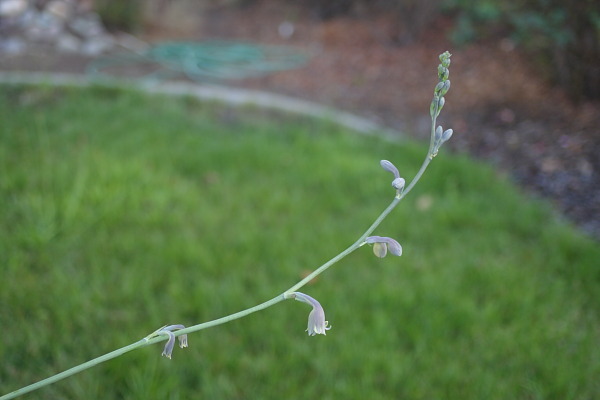 The flowers appear from late June to early September on spicate inflorescences 1 to 2 m. tall with 4 to 22 flowering nodes with paired flowers that are white tinged with grey-green or dull green on the exterior and red, white, or creamy on the interior. The photos below show what appears to be a particularly dull-colored form of P. mexicana. Michael Mace remembers that he obtained seed of this bulb from Southwest Native Seed at least 10 years ago, when the company still offered seeds of Mexican bulbs. Unfortunately, the tag was lost, so he can't be sure of the identification. It's a summer-growing bulb that lives in San Jose, CA, in a mostly-shaded area at the base of a Japanese maple, where it gets some water but does not get soaked. 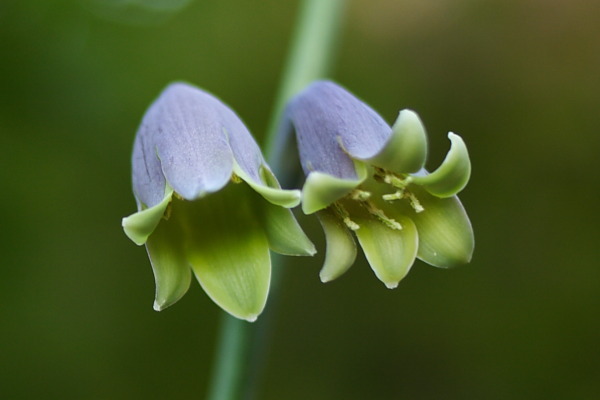 Every August it produces a 6-foot (2 m) stalk of green flowers (with a purplish-gray bloom on the exterior).